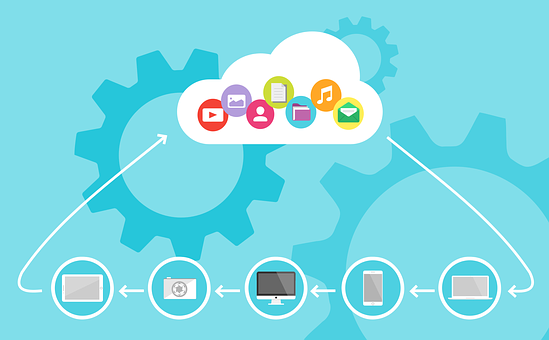 If you’re considering Cloud storage for your business, you’re doing the right thing. Getting all your data on to the Cloud makes your business simpler, more streamlined and synchronised. With the Cloud, you’re better able to store and share your files and documents, and you don’t use up precious space. Many UK companies are now turning to Cloud storage, with dozens of London companies contacting us not just about data backup and internet support, but also for advice on how and when they should start moving their data. It’s important to note here that not all Clouds are equal, and what you’ll want and need depends upon what your business does. This allows you to keep your data and documents private and secure. With a private Cloud, any and all users are kept behind a firewall. Private Clouds usually require more maintenance and organisation than a public Cloud. With this, there is little administrative control, making it simpler and more readily usable. This model requires a less rigid integration and can be shared with whoever you want to share it with, making documents easy to send and edit. This does what you’d expect, mixing private and public together to get the best of both worlds. With this model, you can keep some things secret and allow others to be shared. For most businesses, this is a good option, especially as data protection laws are growing ever more strict. The above three categories form a general idea upon which you can base your decision, but you also need to consider laws around GDPR and data location. Some companies, for example, may need to store their data in the UK. If this applies to you, you’ll need to find a Cloud that stores their data on UK soil. While some Cloud providers specify where their data is held, others don’t. You also need to make sure that your chosen Cloud provider has excellent GDPR security and processes in place. The most essential consideration is that you think about your specific business needs. To do so, you should talk to an expert. Though the guidance in this post gives an insight into the major classifications and considerations of Cloud storage, it’s actually more complex than that. Each Cloud can be adapted and personalised for businesses, meaning that no two are quite the same and you can customise to your exact requirements. We can recommend which Cloud provider will work best for you. We’ll talk you through the best models and help you migrate your data to into the Cloud to make your life easier and your business better. We’re London’s Cloud storage experts. Give us a call!